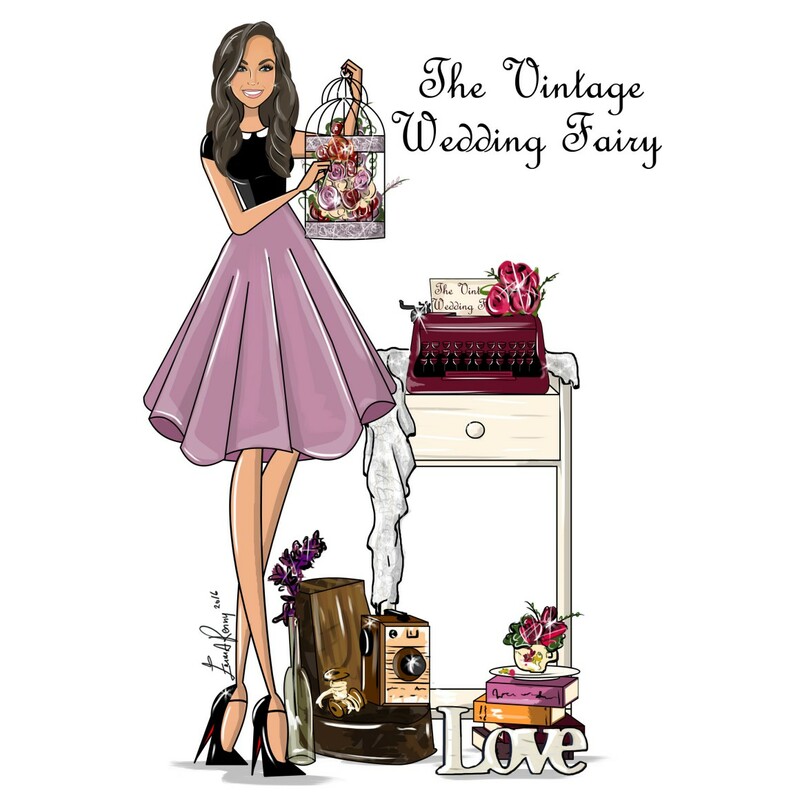 Allow the Vintage Wedding Fairy to style your venue and give your guests something to talk about. After all, its the little details that make your wedding stand out from the rest. – Bespoke styling of your venue using vintage props, accessories & signs. – Guestbook Area, Entrance, Cake Table, other areas. – Mood board creation and personal Pinterest board. – Minimum 4 hours of bespoke styling by Leanne on the day of your Wedding. This package is based on a wedding party of max 120 guests. – Your bespoke Table Plan for up to 180 guests. – Initial consultation plus telephone & email correspondence. This package is based on a wedding party of 120-200 guests. – Bespoke styling of your venue AND church using vintage props, accessories & signs. – Church styling to include lanterns or pillar candles on wooden rounds up the aisle. – Initial consultation plus unlimited telephone & email correspondence. – Delivery & Collection of all props to and from church and venue. Upon consultation, I will create a mood board with your ideas for the styling of your wedding. We will discuss the wedding day itself: venue size, any restrictions, approx. number of guests etc. I will be onsite on the day of your wedding to style the reception venue and church and make it beautiful. I can display the props in many areas: at the entrance (outside & inside), on your top table, at your guest book area, at your cake/sweet table and of course, the main attraction – your table centrepieces. It’s all the little details that will have your guests talking. Following the consultation I will send you your final quotation for the total cost of your chosen package. A booking deposit of 20% of the total cost is required within 14 days of the consultation to secure your date. This deposit is non refundable in the event of a cancellation and the balance must be paid in full 60 days before the wedding date. *Additional travel charges may apply outside a 50km radius of kildare. Accommodation may be required after 150km. **Please note : The Vintage Wedding Fairy will endeavour to supply a limited quantity of fresh in-season flowers to suit your colour palette or theme for the décor and styling of the props only. The Client is obliged to source a florist for the bridal bouquet and any church or ceremony flowers required. The Vintage Wedding Fairy will be happy to recommend preferred florists.